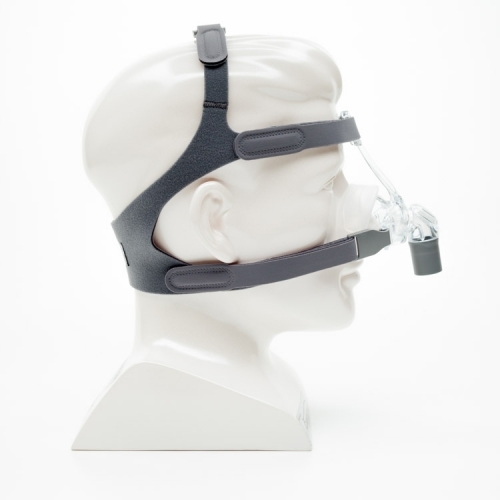 Replacement headgear strap for the Philips Respironics TrueBlue nasal CPAP mask. 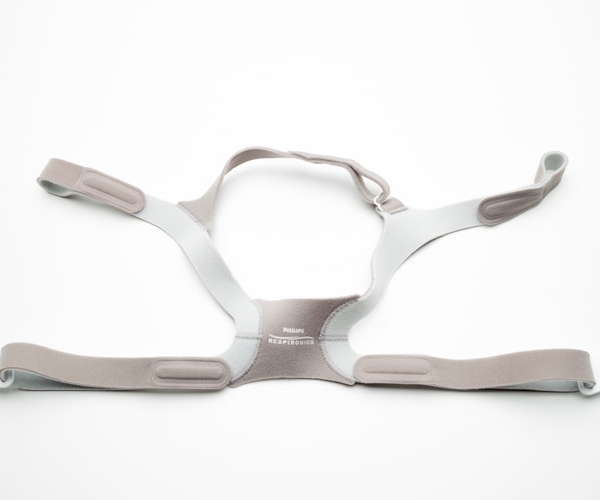 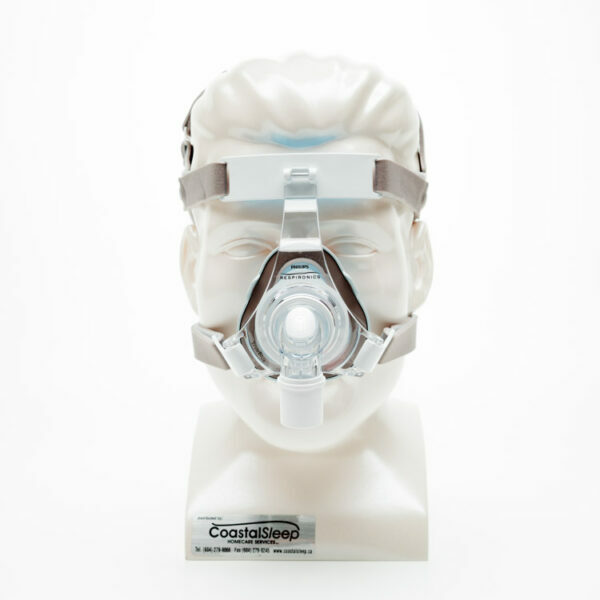 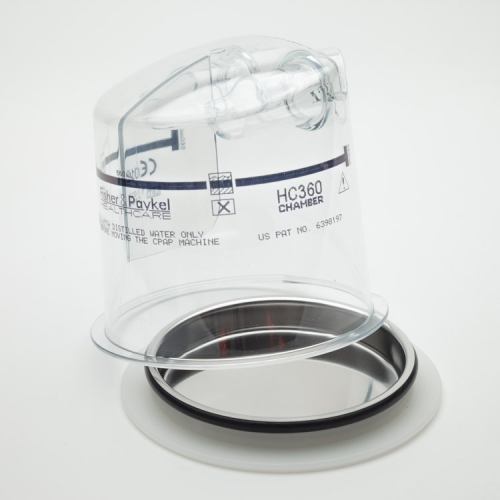 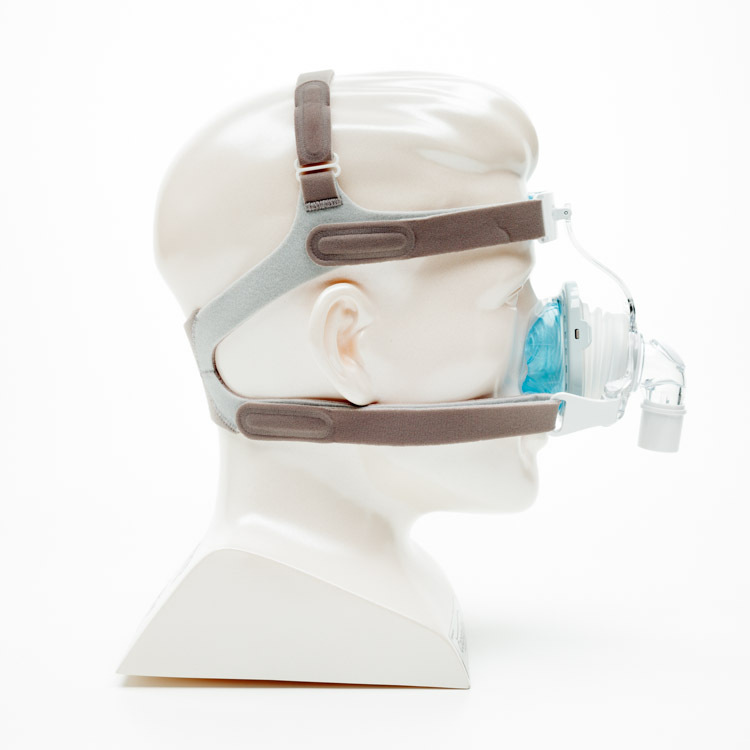 The neoprene-like headgear strap attaches to the TrueBlue CPAP mask at four points – on each side of the forehead support, and on each side of the bottom of the mask frame. 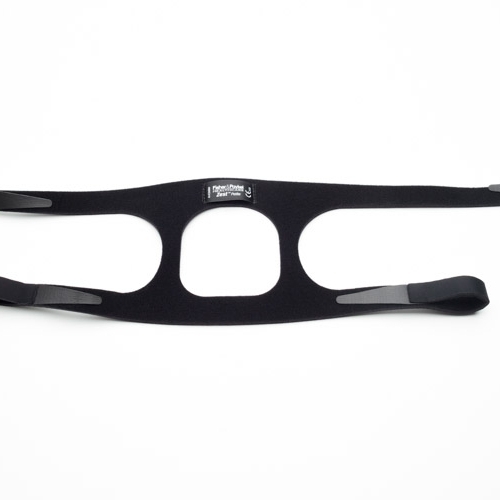 The TrueBlue headgear strap includes two TrueBlue headgear quick-release clips. 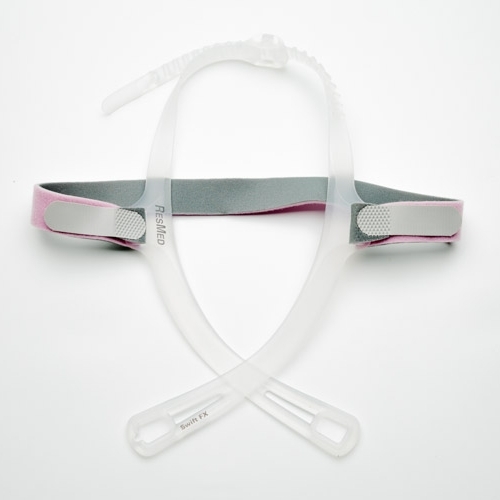 The quick-release clips allow the mask to be removed without adjusting headgear tension. 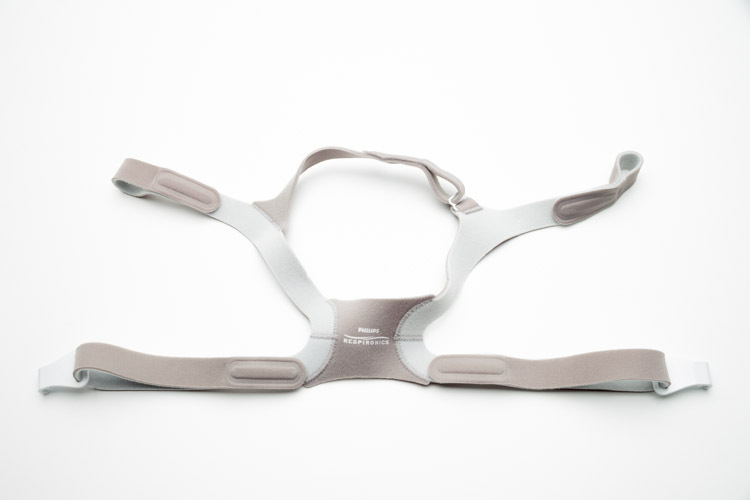 Alternate user spelling of this headgear strap is True Blue.